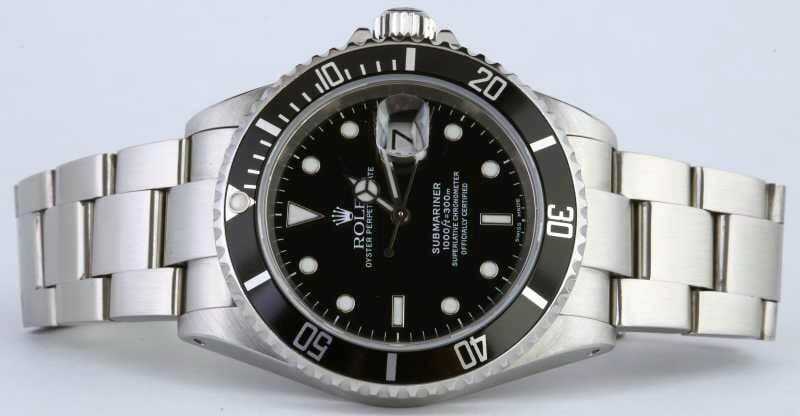 Rolex debuted the Submariner 16610 in 1988, replacing the Submariner 1680. 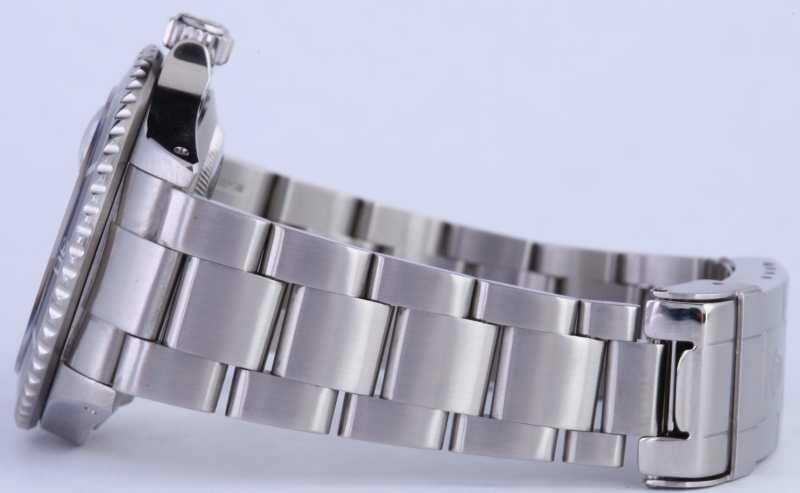 With a clean and simple look, the Submariner appealed to a wide range of buyers. The sporty Rolex 16610 made it versatile, easily transitioning from the office or the golf course to a nice dinner. Though a new model, only a few slight changes were made to the Submariner 16610 from the Submariner 1680, including the dial and crystal. 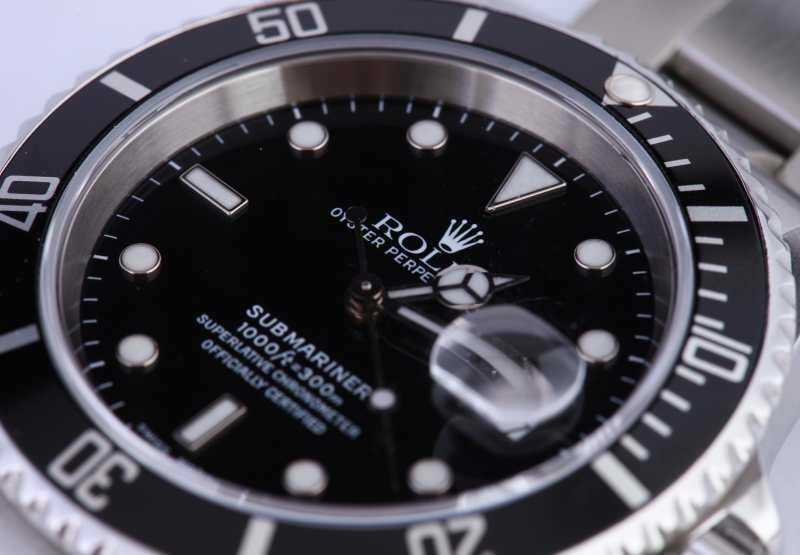 Unlike the flat black dial of its predecessor, the Submariner 16610 features a glossy black dial. The dial was the first Submariner dial to feature Superluminova, making the dial more visible underwater and in the dark. Adding an elegant and expensive touch, the dial of Submariner 16610 offers applied luminous white gold markers. Luminous hands with sweep centre seconds also sit on the dial. The dial also features a date feature, near the 3 o’clock mark. As with many Rolex Submariner watch models, the Sub offers a Rolex Oyster bracelet made of stainless steel, 18 ct gold, or a mix of the two. The case, dial and movement are signed. Atop the case and dial, the Submariner 16610 features a calibrated aluminum bezel. This bezel was specially designed to rotate easily, with a single click-spring controlling the bezel’s rotation. 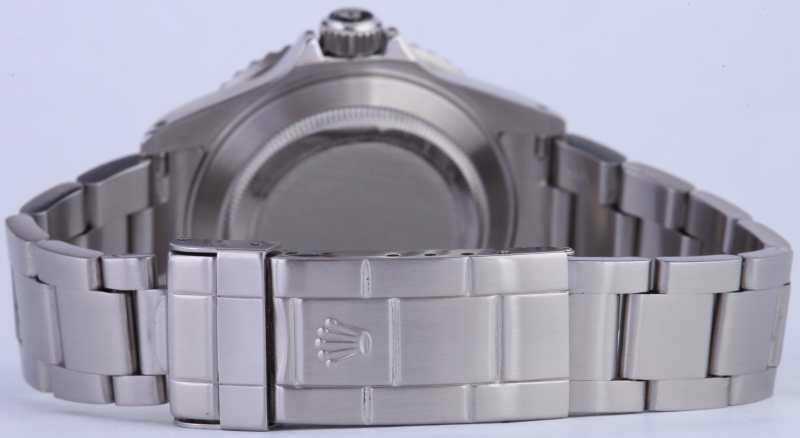 The Submariner 16610 was topped with a new sapphire crystal, unlike the acrylic plastic crystal on the Submariner 1680. The crystal features a Cyclopse magnifier over the date window. Because of its visual appeal, the Rolex Submariner 16610 can be worn as both a casual watch or dress watch. This versatility has made it a very popular Rolex model. Along with its versatility, the Submariner offers durability and strength. Originally design as a sports mans’ watch geared towards deep sea divers, the Submariner model offers advanced water resistant technology thanks to its specially designed Oyster case. The Oyster case offers a screw down case back and Triplock crown, preventing water from entering the case and destroying the movement up to 300m. The Oyster case of the Submariner 16610 is 40mm in diameter and is available in stainless steel or 18 ct gold. The waterproof case contains the timepiece’s automatically winding caliber 3135, 31 jewel movement. This movement is known for its precision and dependability. After an impressive run, the Submariner 16610 was discontinued in favor of the new Submariner Date 116610. This particular reference offered a new, virtually scratch resistant “Cerachrom” bezel, and earned the nickname the “ceramic bezel” Submariner. 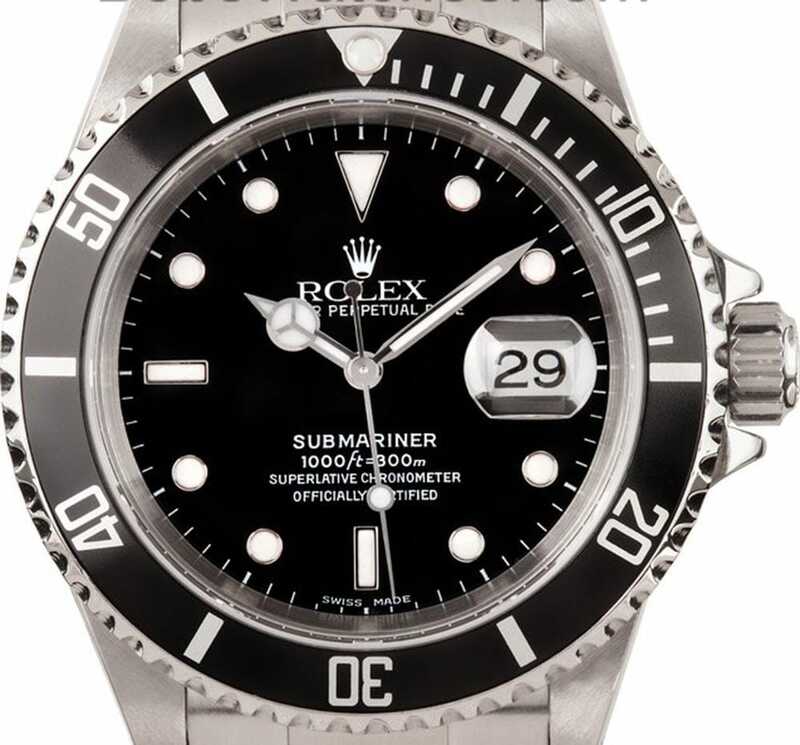 Though the Submariner 16610 was replaced, it remains a favorite among collectors. This precise, dependable, and visually appealing model offers the versatility of both sport and evening wear, as well as the durability of a Submariner.